Mark Martin house goes up for same. View the photos of the North Carolina home below. 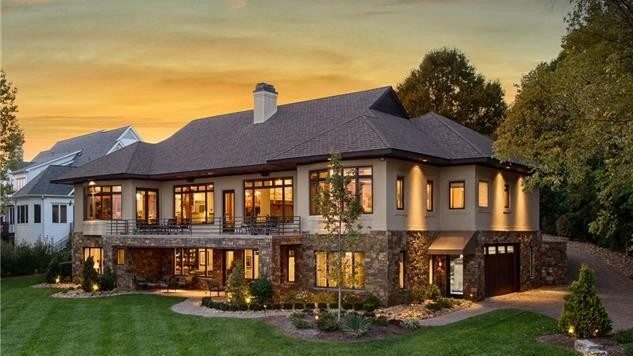 Retired professional stock car racer Mark Martin has put his lakeside mansion in North Carolina on the market for $2.55 million. Martin bought the home a little over three years ago for $2 million. Martin, 57, is one of five drivers who will be inducted into the NASCAR Hall of Fame in 2017. He raced professionally from 1977 to 2013, completing 882 races in the NASCAR Sprint Cup Series. Martin famously never won a Sprint Cup championship, placing second in 1990, 1994, 1998, 2002, and 2009. He’ll likely have better luck selling his four-bedroom, 4.5-bath home in Cornelius, NC, a wealthy suburb north of Charlotte. 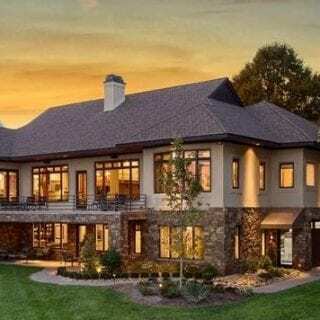 Built in 1994, the 5,767-square-foot home was designed to maximize its 190 feet of Lake Norman shoreline, with large windows in nearly every room looking out on the lake. The home’s impressive kitchen has granite countertops, island with built-in oven and warming tray, custom cabinets, commercial Wolf range and metal hood, full backsplash, and Sub-Zero refrigerator with see-through door and four freezer compartments. 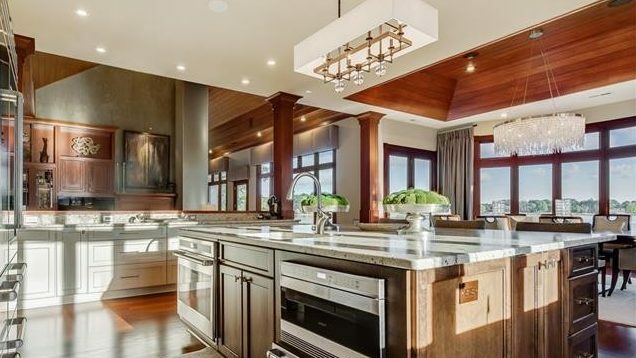 A buffet-style marble countertop and cabinets separate the kitchen from the great room. The formal dining area off the kitchen offers stunning lake views from a bank of large picture windows. Overhead, a glass chandelier hangs from the dark wood, tongue-and-groove vaulted ceiling. Next to the kitchen and dining area, the great room’s soaring ceiling gives the home an incredible sense of space. It is bisected by a two-story double fireplace with custom mantels and built-in bookcases. The master bedroom also has a bank of picture windows, a walk-in closet, and a master bathroom with a custom shower and soaking tub. The home’s walk-out lower level has a large entertainment system, library, and wet bar with refrigerator. There’s a four-car, climate-controlled garage, with one of the garage bays having been converted into a home gym. Outside, a spiral staircase connects the first-floor slate patio to a second-story slate balcony. The 0.74-acre property’s wide backyard lawn ends at the shoreline, with its own permanent dock. Luke Stangel writes about real estate, technology, and startups. His work has been published in the Mercury News, Contra Costa Times, and Silicon Valley Business Journal..